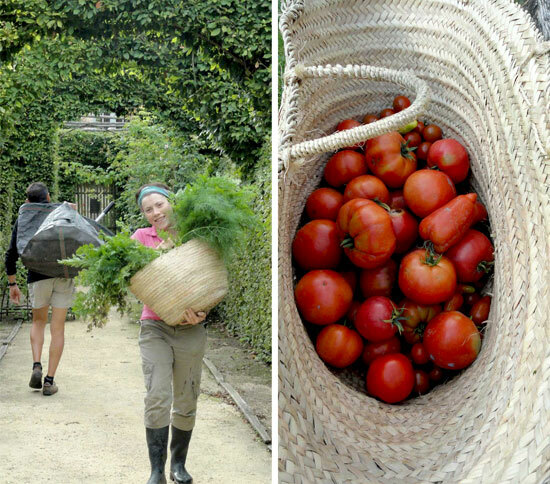 I loved working in the vegetable garden with Estelle (above). First thing in the morning we picked whatever was ripe and needed by the restaurant. 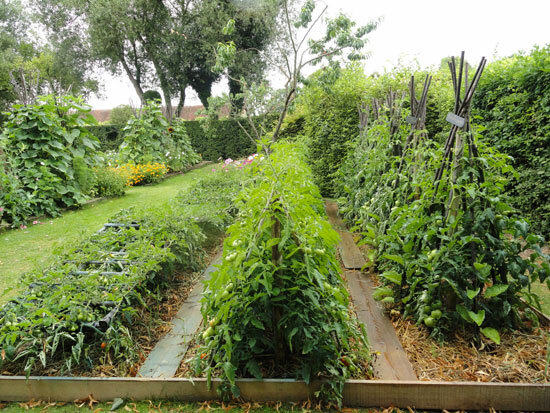 They have an exceptional good crop of tomatoes, beautifully trained onto different shaped wooden trellises. Estelle’s main interest is beekeeping and it was fascinating to go with her to Orsan’s bee hives where she gave the small new swarms extra feeding during cold weather. She also showed me the traditional woven beehive she recently found on a market. These old hives, which are covered with mud to darken the inside, were used to as temporary hives when catching bees on the move. I had a wonderful stay, learned so much, and hope to return again soon.